Prep your face for makeup by exfoliating on the reg, which will keep your skin silky smooth and free of the dead skin cells which usually cause your makeup to flake off. A good primer can ward off oil, fill in your pores, smooth out fine lines, and gives your makeup something to cling to throughout the day. There are also primers for your eyelids, specially formulated to prevent creasing and oiliness. Don't forget to dust on a layer of powder on top of your makeup to get everything on your face to stay put. Make sure your lipstick won't budge by lining your lips before filling them out with color. This will keep your lippie from migrating to the rest of your face too much. If needed, swipe some powder on your lips before applying your lipstick to get a smoother surface. When your face starts looking shiny, avoid the temptation of caking on more makeup. Instead, break out the blotting paper and delicately pat away the oil and sweat off your face for an instantly fresher face. One of the easiest ways to ruin your picture-perfect makeup is by constantly touching your face. Aside from smudging and budging your makeup, your grimy fingers can also transfer all sorts of germs and bacteria onto your face (yuck!). When you want your makeup to last long, the best way to go about it is to use long-lasting makeup. We’re talking about foundation that’ll stay on your face even after sweating all night, lipstick that won’t disappear after one bite of food, and waterproof eye makeup that’ll keep you looking perfect even after an unexpected crying jag. 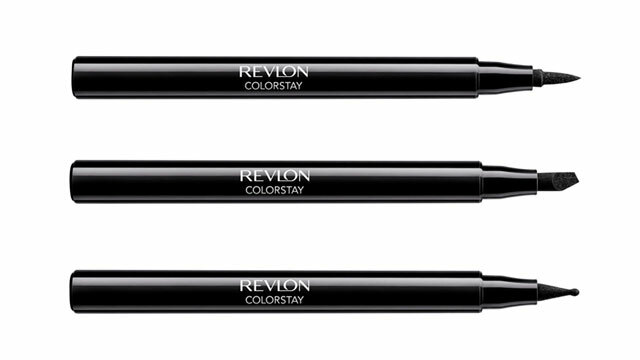 For the ultimate long-lasting cat eye, the Revlon Colorstay Liquid Eye Pens are your best bets. These babies come in Blackest Black for ultra-defined lash lines, and are available in three tips to suit every eyeliner style. Go for the Classic tip for the ultimate in versatility, use the Triple Edge tip for bold, graphic lines, and go for the Ball Point tip for unparalleled ease. The best part? They can stay put for up to 16 hours, letting you go from the boardroom to the bar with your eyeliner still on fleek. Now that's what you call longevity!